The football world has a new hotspot in the far east. Chinese club football has been growing over the years and it seems to have reached an important point in it's history. For the first time ever, Chinese football clubs, fueled by money from investment funds, outspent other leagues in the winter transfer market. Five out of the six top transfers in the January marcato had Chinese clubs on the buying side. Also playing in China: Fredy Guarin, Paulinho, Tim Cahill, Mohamed Sissoko and Demba Ba. The Alex Teixeira move to Jiangsu Suning, which was finalized earlier today, is the record signing fee for a Chinese club and also the biggest signing of the year so far. Everybody seems to be moving to China, whose clubs arguably are signing bigger stars than the clubs from the North American Major League Soccer. The average game attendance in Chinese first division football is 22,180. Every Chinese club is allowed to have up to five foreigners on their roster, out of which one player has to be from another Asian country. Up to four foreign players are allowed to be on the pitch for a club at any given time. Who will be the next big name to move to the mega rich Chinese Super League? 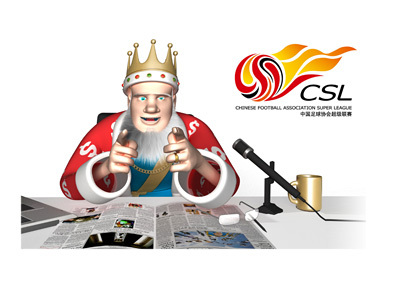 The Chinese winter transfer market is open until February 26th, 2016.